You might not think of folky singer-songwriter Tracy Chapman and rasta idol Bob Marley as musical soulmates. But when Chapman brought the capacity crowd at Benaroya Hall to its feet with a powerhouse encore of Marley’s “Get Up, Stand Up,” it made you wish she’d rock out and reggae more often. 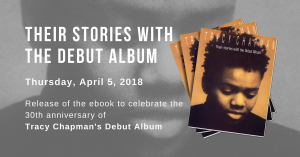 For the rest of her polished two-hour set, Chapman stuck to her own compositions – thoughtful songs old and new, political and personal, from her latest disc (“Telling Stories”) and the three other albums that have made her an inspirational figure to many devotees and something of an enigma to critics. After an edifying set of acoustic roots blues by singer-guitarist Alvin Youngblood Hart, Chapman came on in a plain black pants outfit, her mane of French braids secured in a ponytail, and got right down to business. Her songs are filled with messages of unity, but Chapman can seem almost aloof in concert. At first, planted behind her acoustic guitar, she said little between tunes and barely acknowledged the adoring cries (“You’re a goddess!”) and shouted requests of ardent fans. But if she didn’t chat much, Chapman sure did sing – with a power and vibrancy her recordings don’t fully capture. Against the electro-plush settings of a fine four-piece band led by keyboardist Jeff Young, her deep alto poured out like a dark, undulating river, with plaintive hues of blue shimmering near the surface. In person, Chapman doesn’t contradict her sensitive coffee-house-singer-made-good image. She still specializes in rather blurry relationship ballads (two of the best: “Baby Can I Hold You” and “Less Than Strangers”) and ruminative protest tunes (i.e., the heartfelt incantation “New Beginning”). Eventually Chapman loosened up and joked a bit, playfully asking for a vote on whether she and opera star Luciano Pavarotti should duet on “Talkin’ ’bout a Revolution” at an upcoming charity concert. (The verdict: yes.) And when she finally lit into her sultry, get-down hit “Give Me One Good Reason,” and exhorted the crowd to “Get Up, Stand Up,” Chapman made it clear she has the goods (if not always the inclination) to really rock the house.